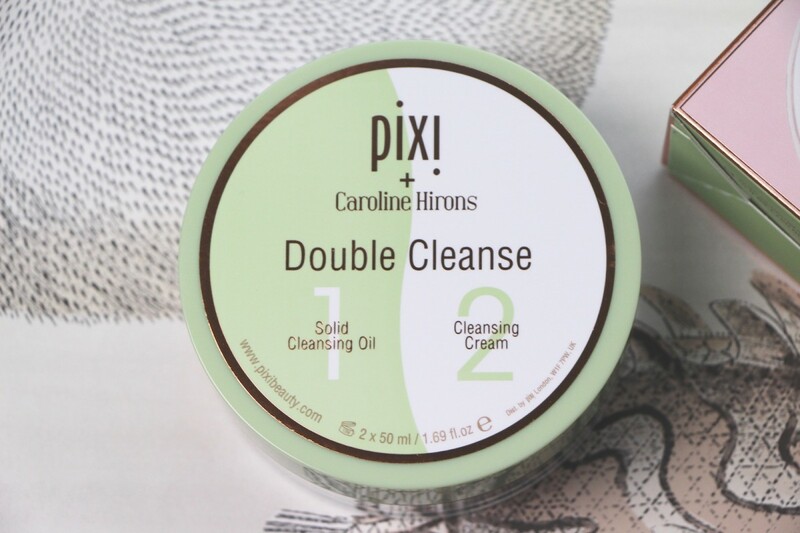 I promised I’d tip you all off as soon as Caroline Hirons’ Pixi Double Cleanse hit the shelves: and then promptly forgot. I’m so sorry. But actually, I think that it kept selling out for the first week or so anyway, so you can now acquire one in a much more stately and dignified manner! No squabbling at the tills! 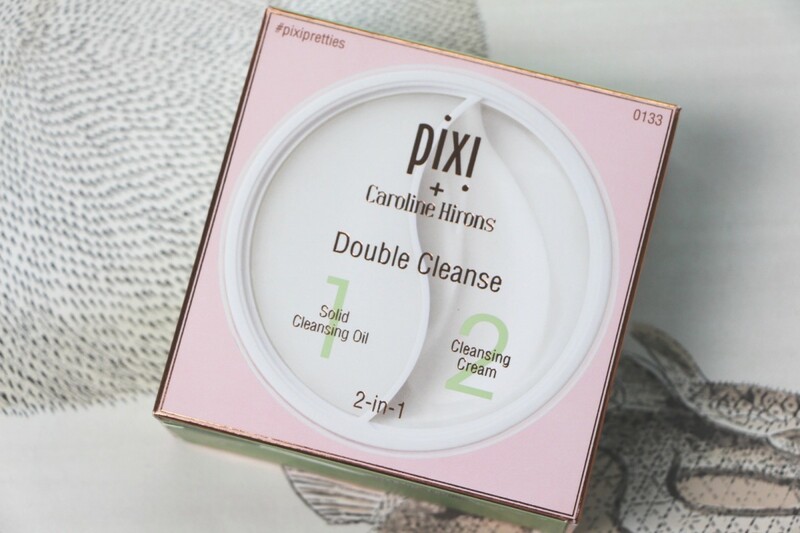 So, Pixi Double Cleanse. In one side a very effective makeup-removing balm, in the other a sumptuous cream-with-benefits. The texture of the balm is similar to something like Clinique’s Take The Day Off, in case you need a reference, and though it is a joy to massage in, really oily and slippery, it manages to rinse off totally clean. No residue. Some people like an oily residue from their cleansing balm, I don’t. The cream has a cool, not-quite-buttery-but-not-too-runny texture and is also good at makeup removal, but the point is that you remove your makeup with the balm and the cream does the clever talking. It cleanses off anything that might be remaining on the skin, but it does it gently, and it conditions as it works, with Aginine, Peptides and Vitamin C to plump, elasticise and protect. More than you’d usually expect from your cleanser, that’s for sure. I tend to just “press” the cream cleanser off so that I’m not going in full-pelt with the flannel for a second (or third) time, and sometimes I leave the cream on for a few minutes as a kind of mini mask. Don’t know whether that’s advisable, but I do. 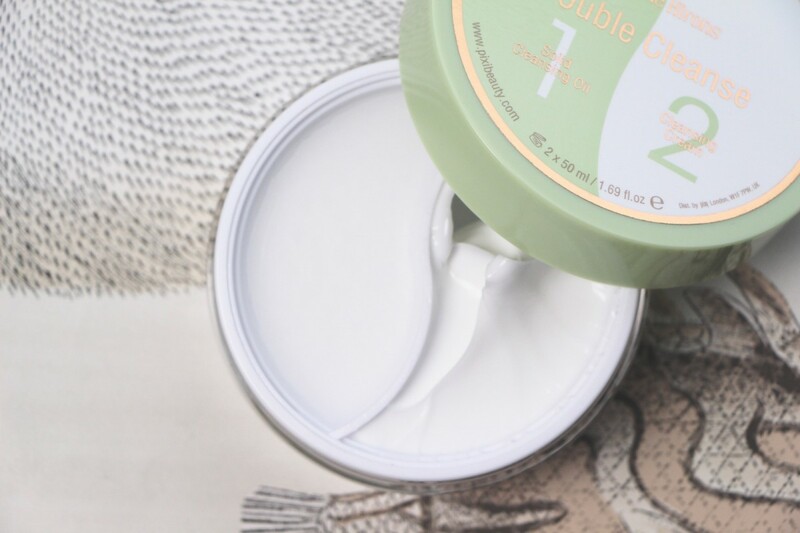 It’s a good one, the Double Cleanse, and I’d love to be able to buy the cream formula separately, maybe in a big pump-action bottle, just because I never use “paired” stuff up at the same rate! Caroline, make this happen! For the moment it’s available in one pot and it costs £24. They’ve started stocking it online at M&S Beauty, here. Next Post Pregnancy Skincare: What’s Safe To Use?